Click ACH Transfers on the main menu and then click Bank Accounts. Click the button + Add Bank Account. There are two options for adding your bank account, the Instant Account Verification (IAV) option and the Micro-deposit verification option. First you should choose the IAV option. 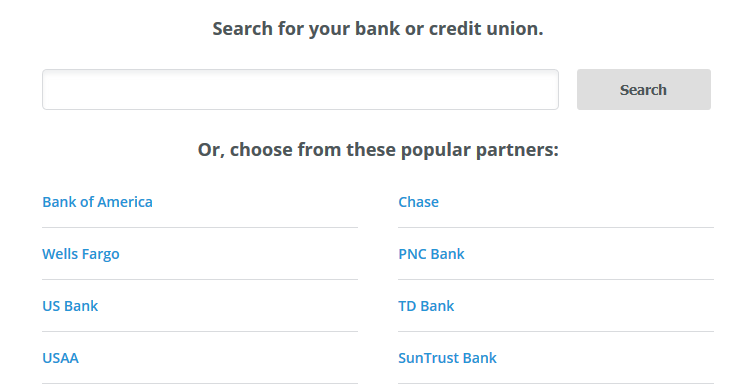 This will bring up a list of popular banks you can choose from. If you don't see your bank here, you can search for it by typing the bank name into the search box. 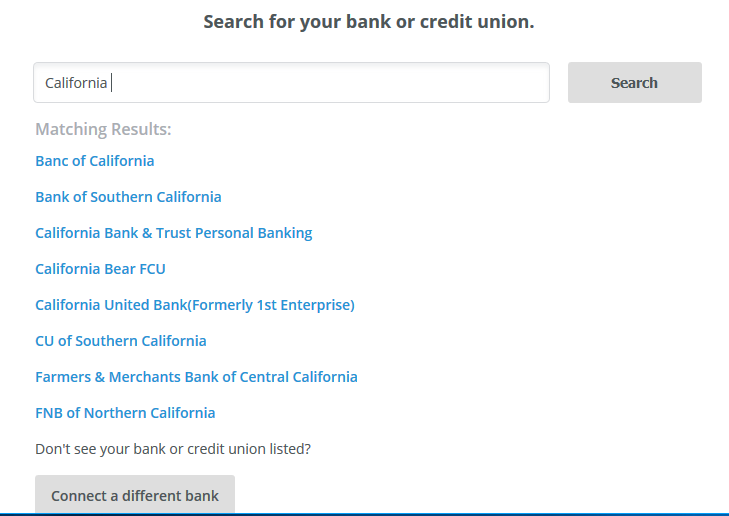 When you find the bank you'd like to connect, click the bank name and follow the next steps. These steps will include a few different possibilities depending on who you bank with. Those steps could include entering your routing number and account number, entering your online banking credentials, and verifying your account through text message or phone call. If you are able to complete the steps successfully and we are able to verify the account, your bank account will be instantly verified and ready to be used for ACH transfers. If you are unable to connect your bank using this step, cancel and use the Micro Deposit option. You will be prompted to enter your routing number, account number, account type and create a name for your account (this is how we'll refer to it in BrokerSumo). Once this form has been completed we will make 2 micro deposits into your account within 1-2 business days. 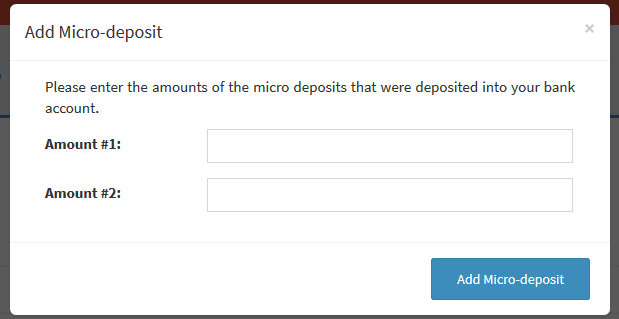 Once those micro deposits have posted in your bank account, you will receive an email confirmation. Log onto your online banking to see the amounts of the micro deposits. Then log into BrokerSumo, go to ACH Transfer > Bank Accounts, locate the bank that is Unverified and click the Verify button. Next enter the amounts of the two deposits into the form. Your bank account will now be verified.